How do I setup URL redirects in Magento 2? The redirects don’t work! I’m using Magento 2 – Version 2.2.3 and URL rewrites aren’t working. I have some old links from my last e-commerce store that are currently going to a 404. I need to route any traffic to those URL’s to pages on my new MagentoÂ webstore. I’ve read the online instructions from Magento and they are awful and don’t seem to work no matter what I do. Any help appreciated. 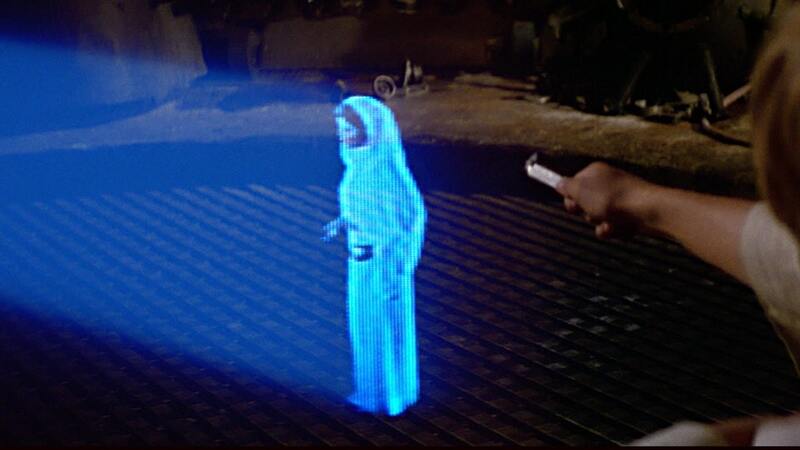 Sharp Commerce…you’re my only hope. The answer is easy but we didn’t find that answer in the Magento manual. Magento doesn’t really tell you how to formulate the from and to routing in the instructions. We initially quite a few combinations before the Eureka moment. 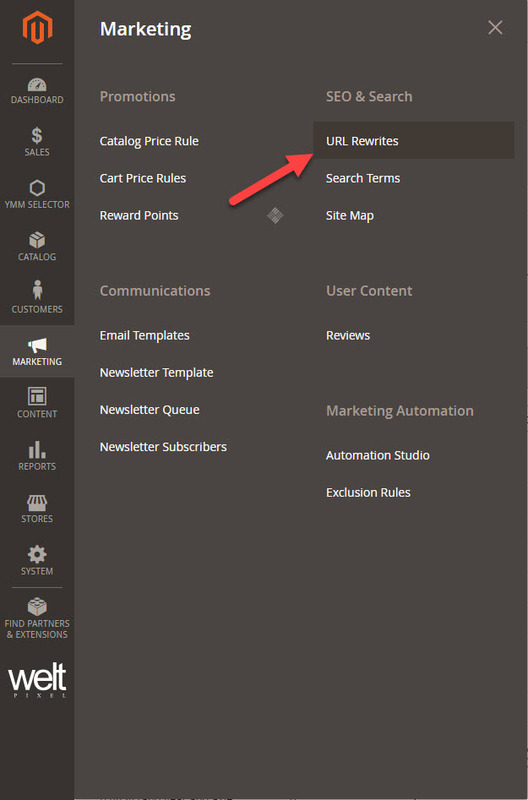 In M2 Magento has hiddenÂ URL RewritesÂ feature in theÂ Marketing tab on the left, choose URL Rewrites located under SEO & Search. The Request Path field is basically the from field. 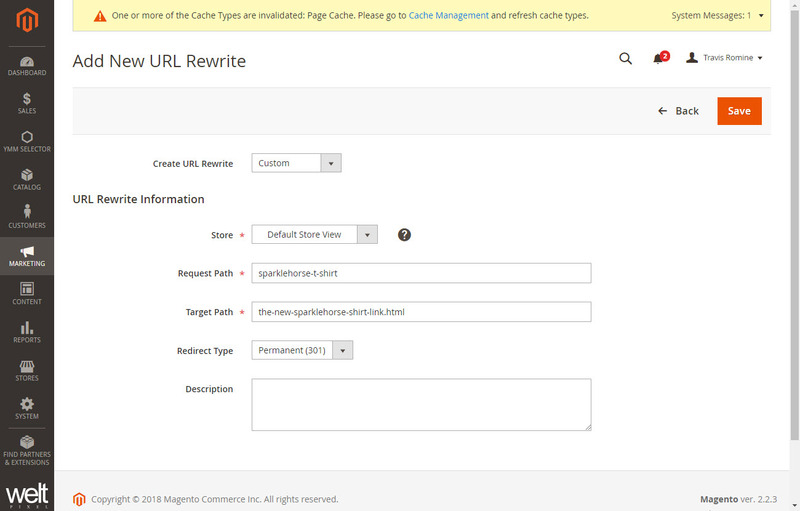 TheÂ Target Path is where you want to redirect to.Â Here is the magic and proper format for Magento URL Redirects. Make sure you don’t add anything after the link you want to redirect in theÃÂ Request Path, no HTML or anything like that. In theÂ Target Path make sure you do include .html after the target path info. See below. Leave a comment if this works for you, we’d love to hear from you.